Groups of humpback whales all sing the same song at any one time - and they keep singing it until it gets too complicated, according to new research by Scottish scientists. 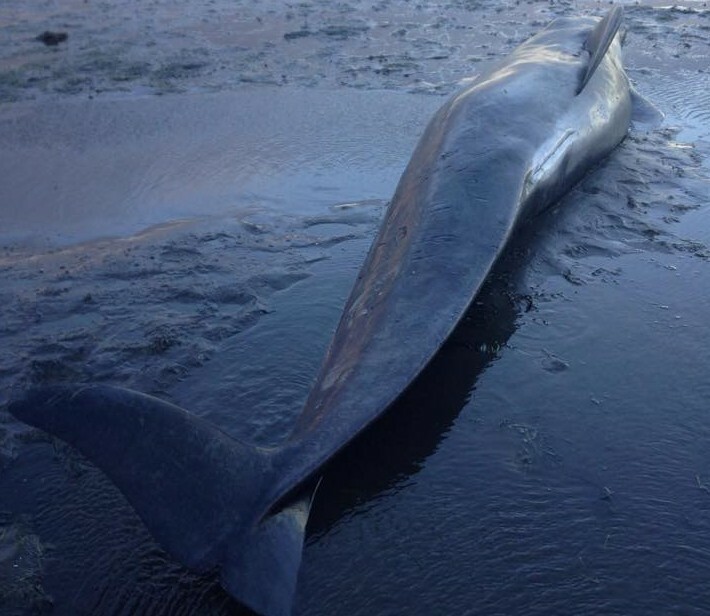 Four deep water whales have washed up on various shores across Shetland over the last few weeks, raising concerns that they may be linked with the deaths of over 80 whales washed up on the west coast of Scotland and Ireland during August and September. Marine researchers have confirmed an “unprecedented” number of beaked whale deaths occurring off the west coast of Scotland. 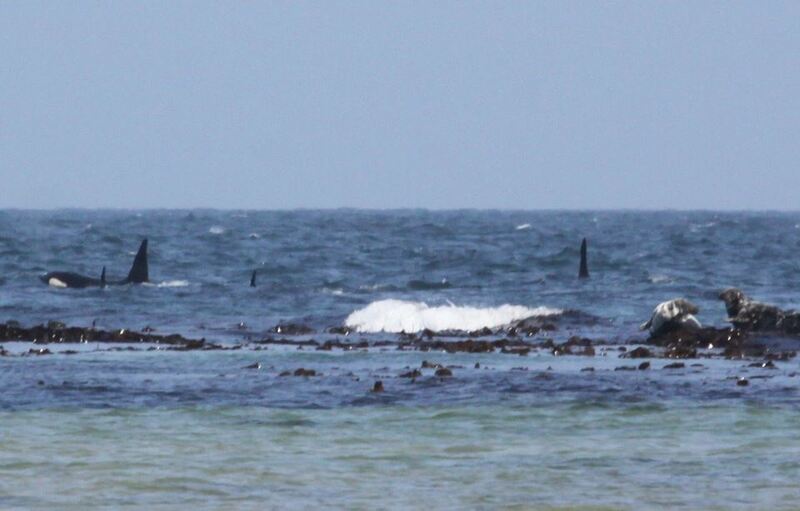 A spate of whale and dolphin deaths along Scotland’s west coast is being linked to the hunt for a Russian submarine. Campaigners are calling for a ban on the use of electronic scarers to keep seals away from fish farms because of the harm they may be causing whales and dolphins. A sealife charity based on the Moray Firth coast has stopped selling plastic bottles in an attempt to help the natural environment. 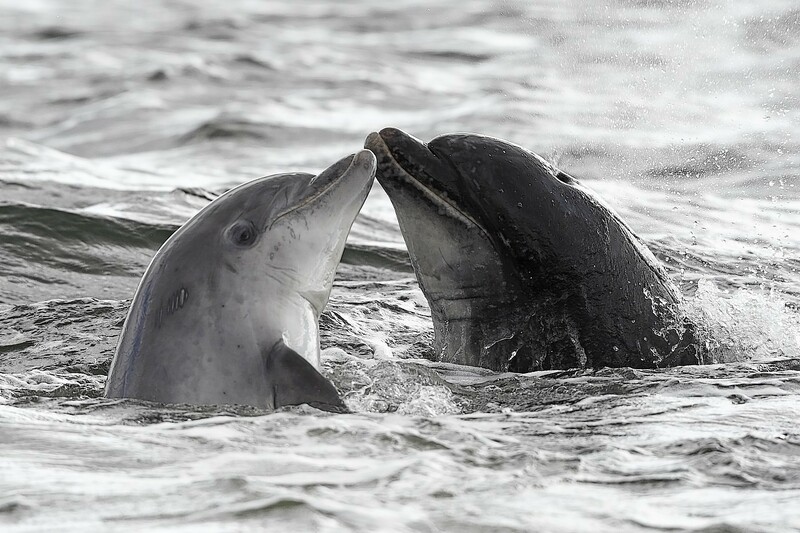 Wildlife enthusiasts in Moray have organised a weekend of whale and dolphin events to capitalise on a surge of interest in the majestic sea mammals. A Scottish project aimed at helping to stop whales and other marine animals getting tangled in fishing nets has been hailed as a winning partnership between fishers and conservationists. Researchers have attached cameras to humpback and minke whales in the Antarctic to understand their lives better – and the resulting videos are beautiful. A third humpback whale has been spotted feeding off the Moray coast. Crowds of youngsters gasped with delight yesterday while they watched dolphins staging a natural marine exhibition in the waves off the Moray coast. Wildlife enthusiasts along the north-east coast are being asked to help conservationists track whale and dolphin activity as part of a scheme to keep the animals safe. 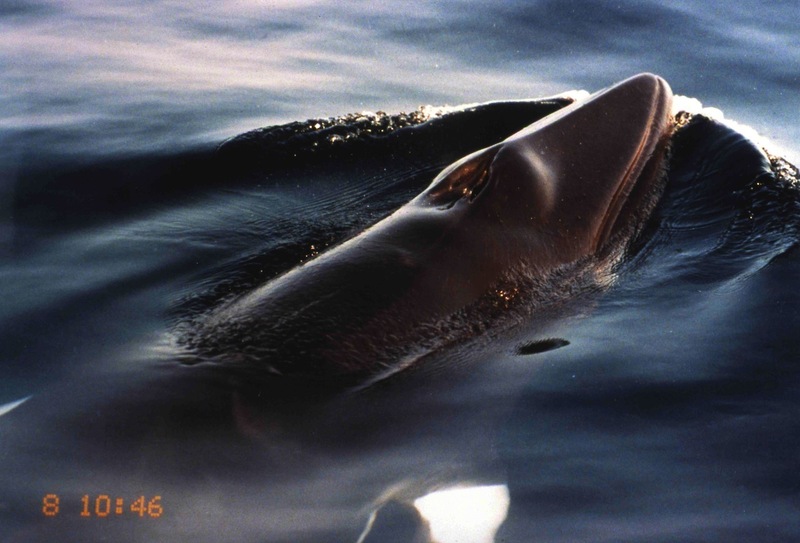 Investigations led by the University of Aberdeen, in collaboration with the Scottish Marine Animal Stranding Scheme, have shown that a pod of whales stranded in Fife in 2012 had high concentrations of toxic chemicals, some of which had reached the mammals’ brains. A giant humpback whale was saved by rescuers at the weekend after getting entangled in fishing ropes in a Sutherland loch. 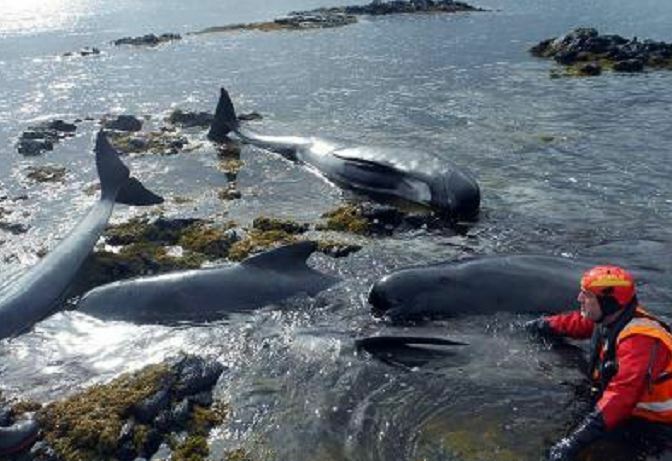 Three whales have died and 10 others are stranded off the Isle of Skye. Budding north-east wildlife experts will be shown how to spot some of the underwater world's most fascinating creatures at a special training day this weekend. Humpback whales, orcas and bottlenose dolphins will do their bit for the economy of the Highlands and islands when the first Whale Week festival is held next week.